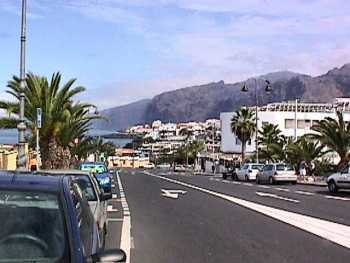 This is the main street of Playa de la Arena, where we were staying. Ahead you can see Los Gigantes cliffs. On the left is the beach. Playa de la Arena, which just means sandy beach. In the distance Los Gigantes cliffs. 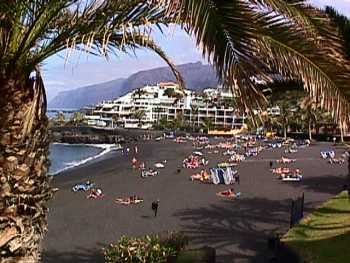 Playa de la Arena. Swimmers on a calm day. On windy days the red flags were flying and sunbathers had to stay well away from the huge breakers crashing on the shore. The beach is flanked by lava headlands. 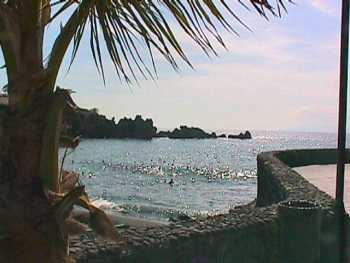 Villas and hotels perch on the lava headlands and cliffs behind the beaches. 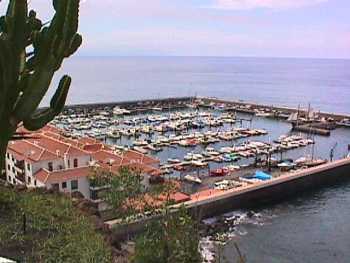 Puerto de Santiago - the harbour. Boats are lifted into and out of the water with the crane at the harbour mouth. 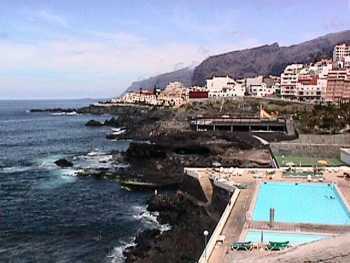 Puerto Santiago is just north of Playa de la Arena - there is no real boundry between the two towns. 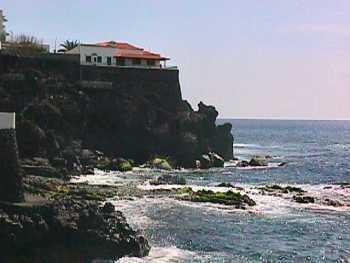 Hotels and Los Gigantes cliffs. 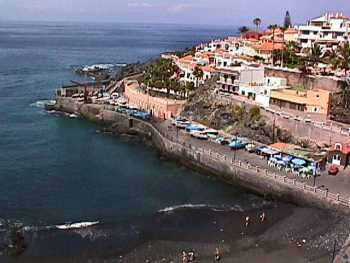 It is a very hilly walk from Playa de la Arena, through Puerto de Santiago to Los Gigantes. Los Gigantes cliffs. 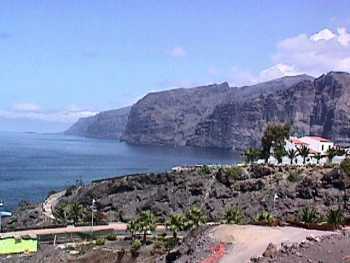 The town of Los Gigantes is hidden below the headland in the foreground.